Heavy overnight rain swept through streets and forced hundreds of people from their homes in the southern Spanish province of Malaga on Sunday (October 21), killing one firefighter, the fire service said. In the town of Campillos, cars were borne along the streets by the water and left in wrecked piles after the flood subsided. 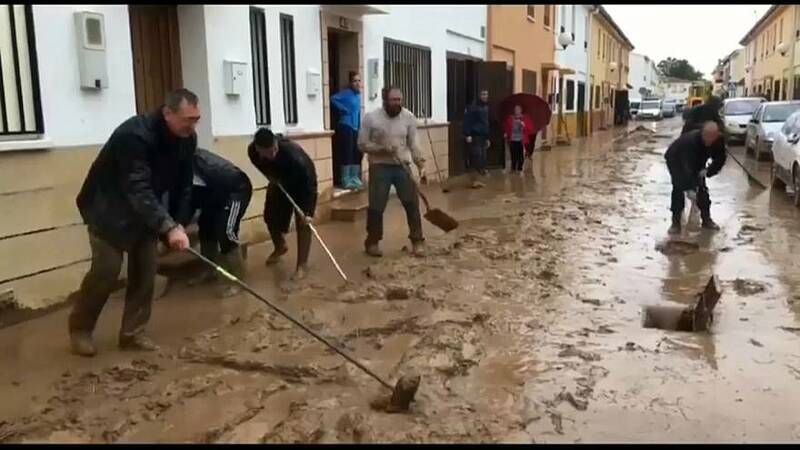 Almost 400 millimetres of rain fell in 24 hours in the town of Ardales - around 62 km (40 miles) from the main city of Malaga - alone, according to the regional government's environmental department. Firefighter Jose Gil disappeared when the truck he was travelling in with two others overturned, the local fire service said on Twitter. His companions were rescued, but Gil was later found dead.